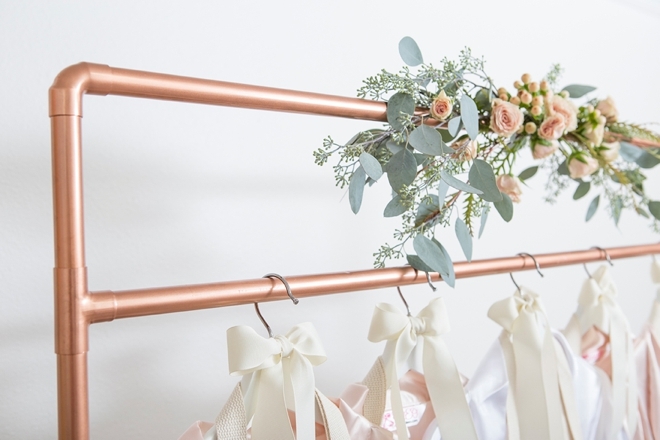 This DIY Copper Pipe Wardrobe Stand Is AMAZING! I’m obsessed to say the least. 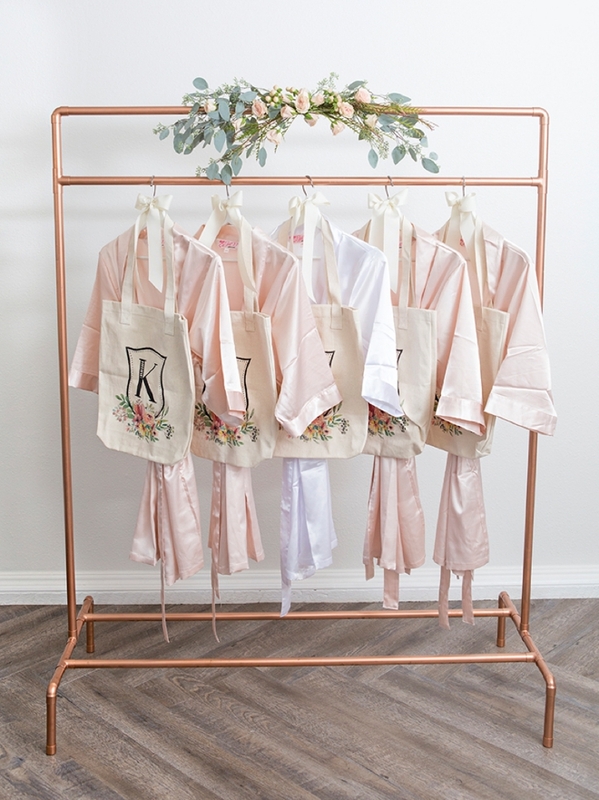 I love copper and I love making things out of nothing so I’m super excited about today’s project! 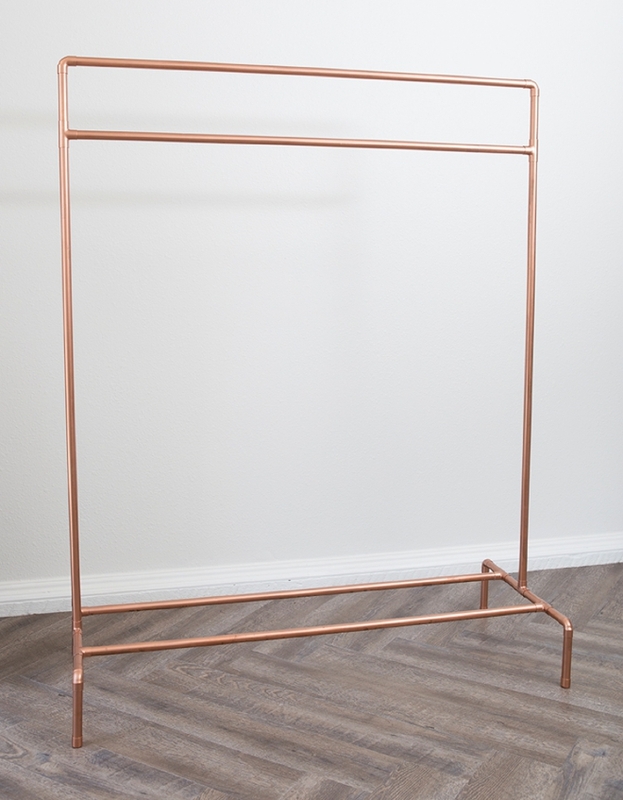 I’ve created a pattern for a unique wardrobe stand that you can make out of copper pipe in less than an hour, heck it might even take you under 15 minutes to assemble. 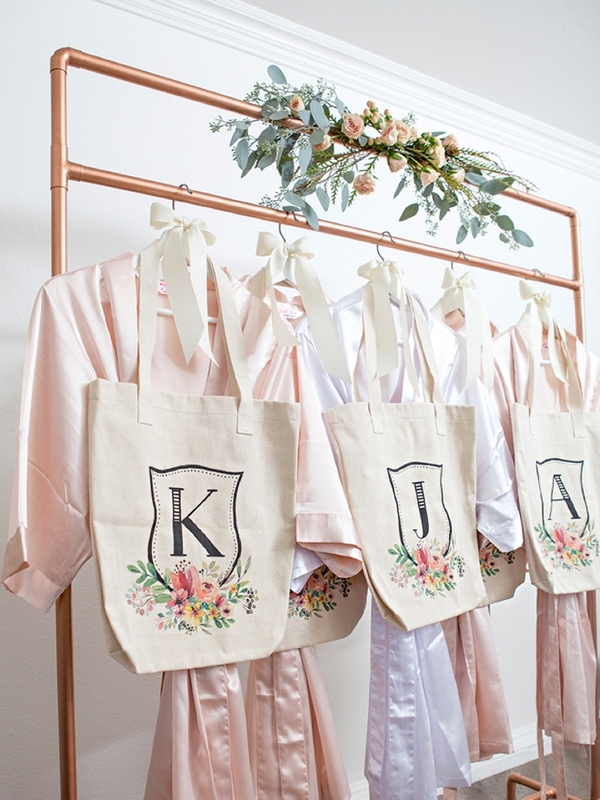 Don’t let its beauty fool you, it’s super, super easy to assemble and I’m even sharing a fun little printable instruction sheet to help you out. 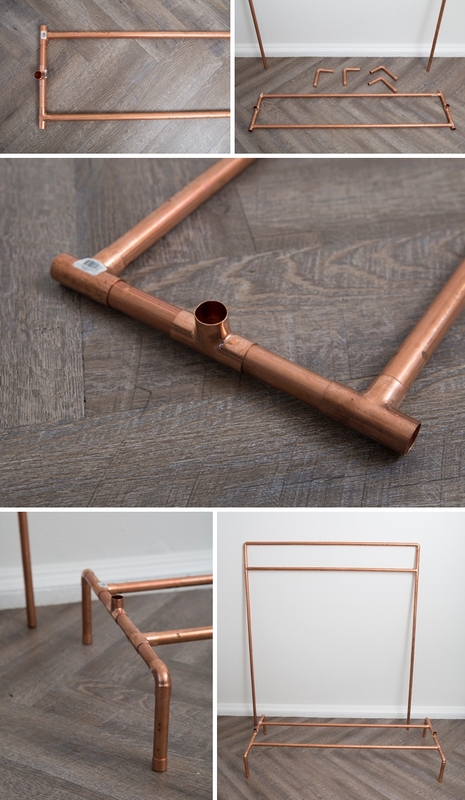 You’ll have the guys at your local hardware store cut all the pieces for you, so all you have to do is put it together. 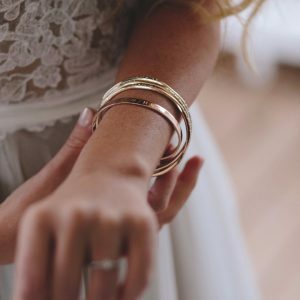 Adorn with flowers and some super sweet gifts for your bridesmaids and your golden… or should I say copper! 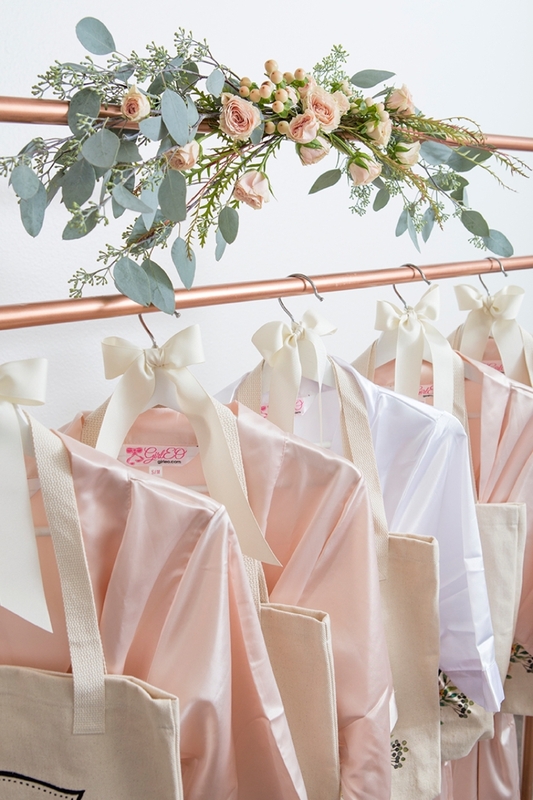 I don’t know about you but if I walked into a set up like this, as a bridesmaid, I’d be SO excited! 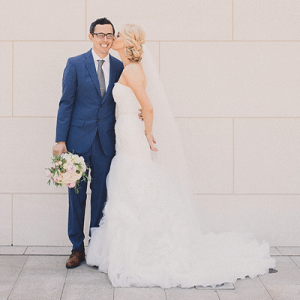 Getting ready in style is definitely one of the best parts of the wedding morning. 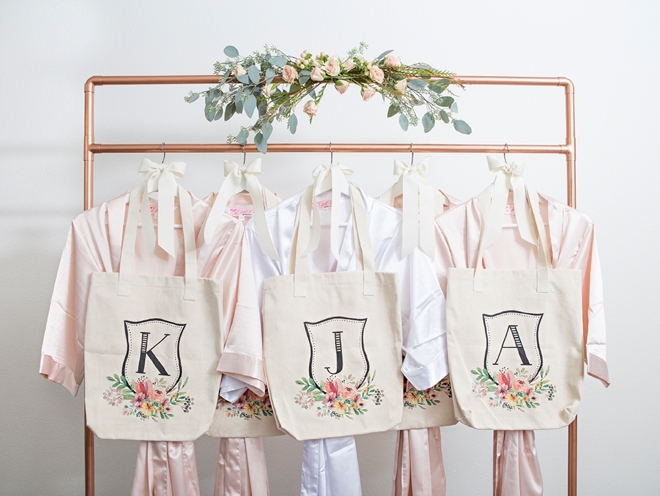 Some pretty robes + totes (maybe full of goodies) will start the morning off right. 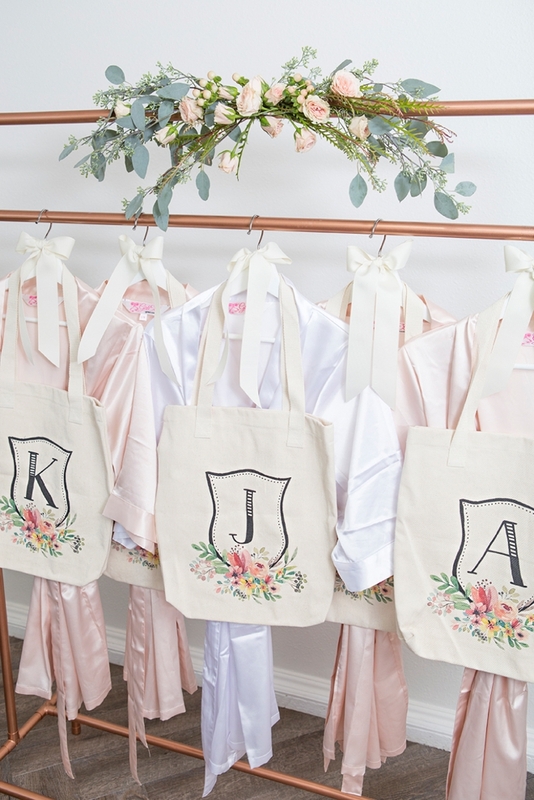 HUGE thanks to Fox Blossom Co. for the beautiful satin robes and Ruby Ridge Studios for the lovely personalized tote bags… your items make my rack look good! 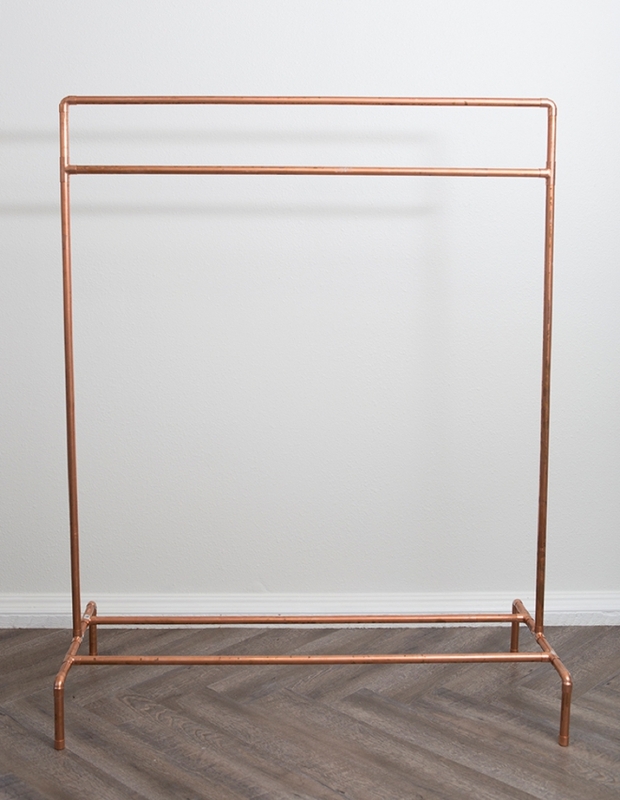 In total the copper pipe pieces are just a few inches shy of 30 feet total. At my local OSH it was $23 per 10 feet and the cuts were free! 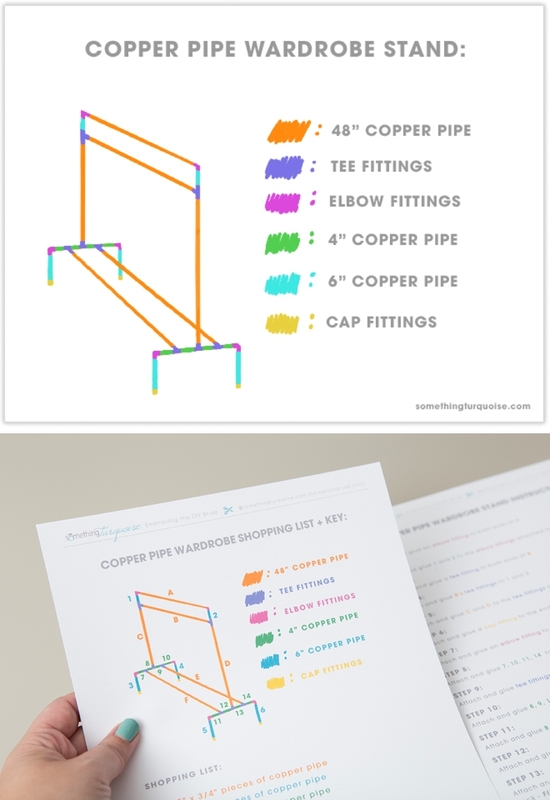 I just got an iPad Pro and I’ve been playing with ProCreate and the Apple Pencil… so I decided to draw you gals a cute little color coded key to make the assembly of this rack super clear and easy! At the end of the post you can print this key out, complete with assembly instructions. In a way, this assembly is kind of like legos. 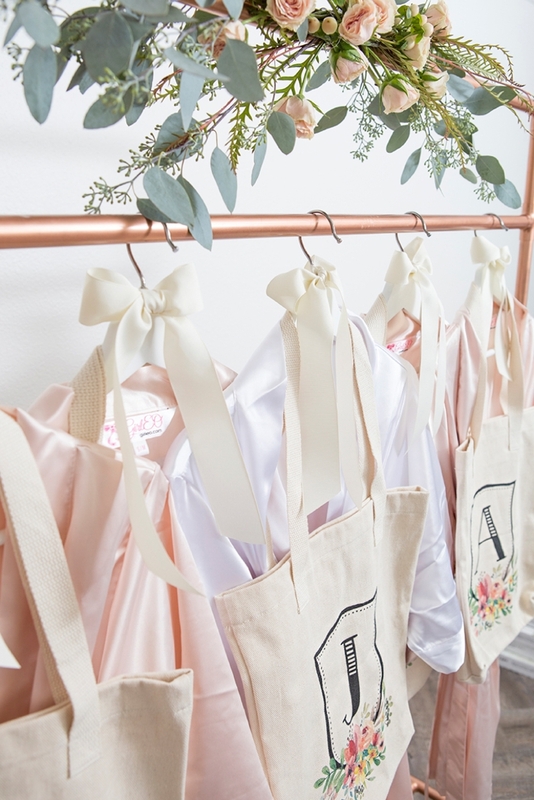 Print out my color coded key + instructions to help in your assembly… though some of you might not need it! These images show steps 1 – 5. This glue is important. 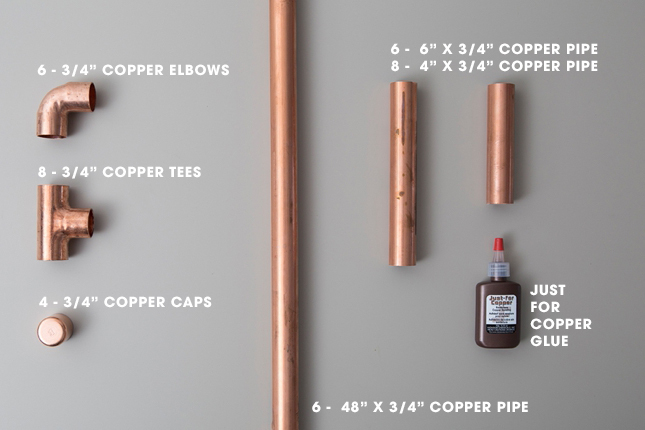 All glue is not created equal when it comes to copper. 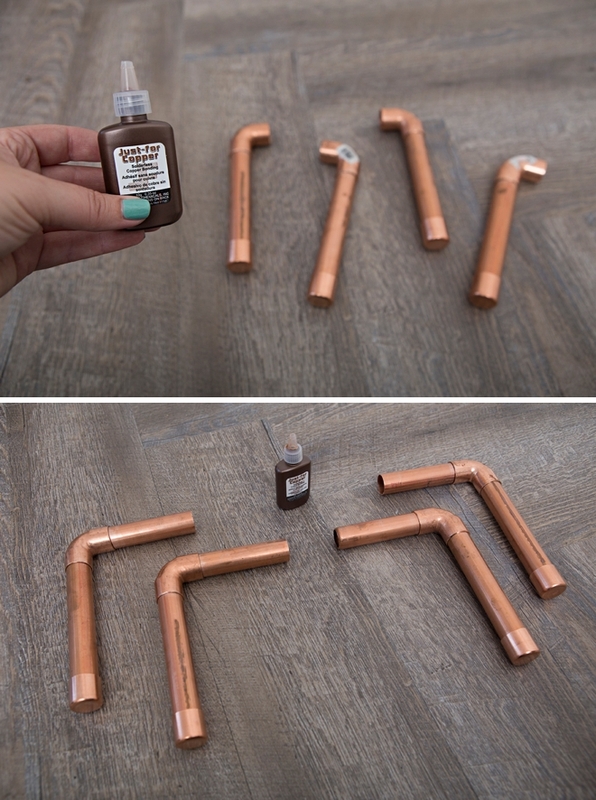 If you don’t want to solder the pipes together, which who would, you’re going to need this glue. 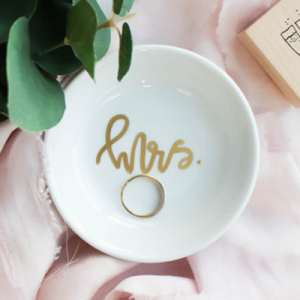 It dries in 5 seconds so it’s super quick and easy to use. Wipe excess away with a paper towel. These images show steps 6-8. At this step it really starts to come together! Just a few more attachments to go… these images show steps 9-12. 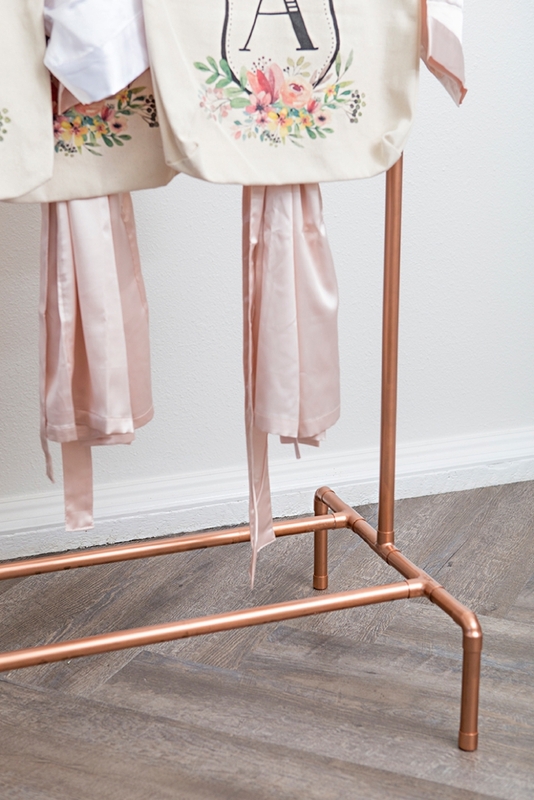 Attach and glue the top of the rack to the bottom, YAY, you’re almost done! 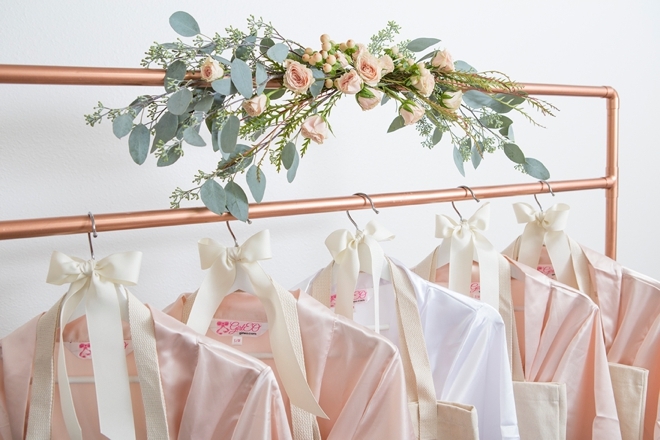 This step is optional but it’s really going to make this rack shine. 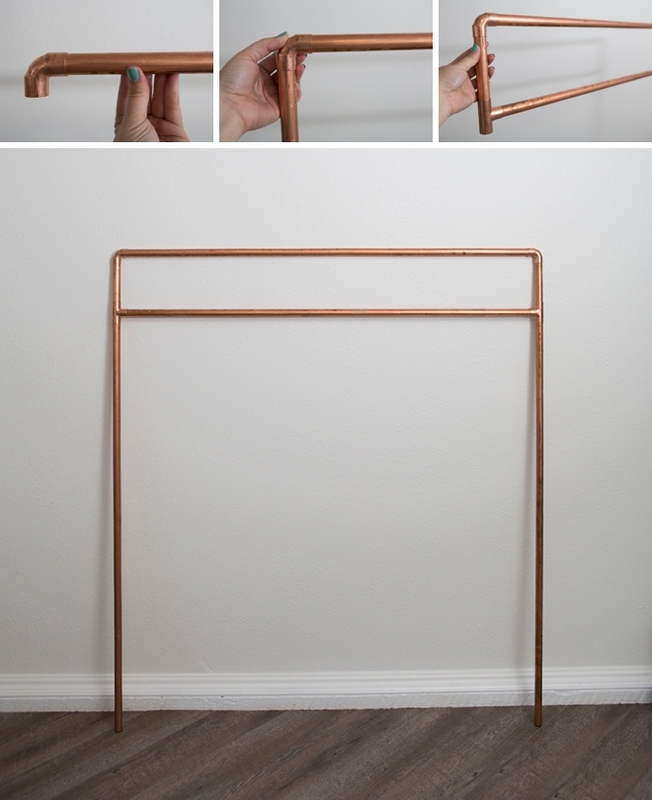 Copper pipe, while awesome, is industrial. It’s going to have imperfections, scratches, price tags, finger prints, and more. 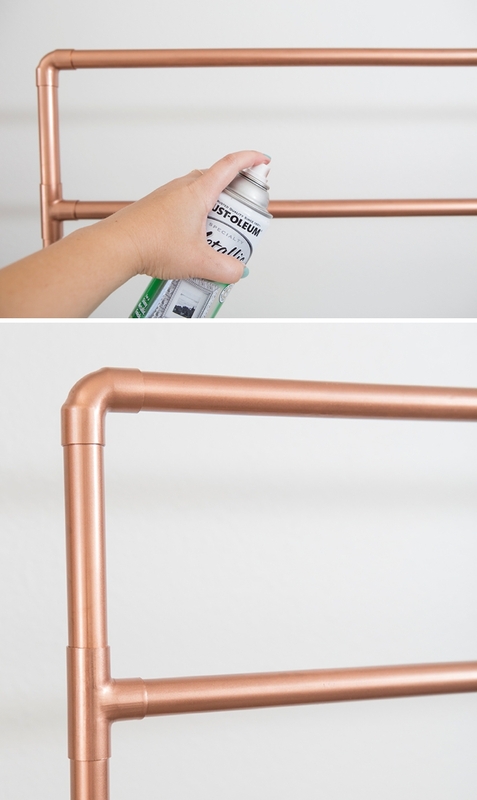 A quick coat of metallic copper spray paint will cover all that up in a flash. 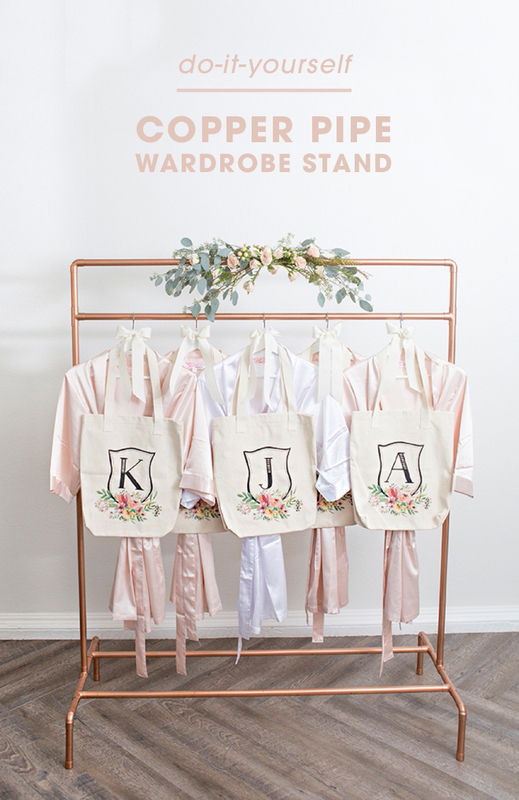 After your wedding is over, this amazing wardrobe stand will easily have a home in your bedroom or closet! 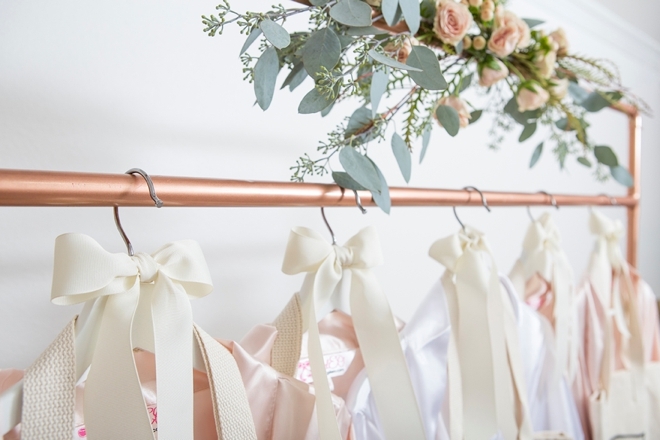 How fun to hang up the next days’ outfit on this fabulous rack. 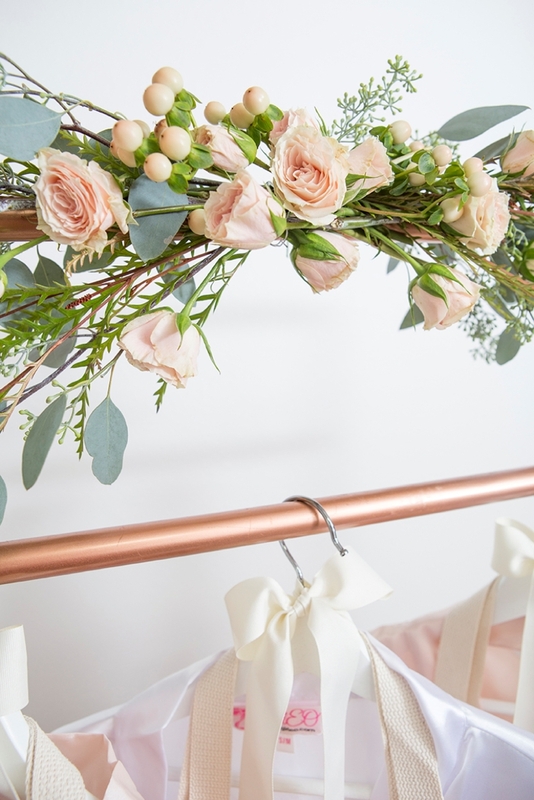 It’s the wedding decor element that just keeps giving… and every time you glance over at this beauty, you’ll be filled with the same joy you felt on the morning of your wedding.